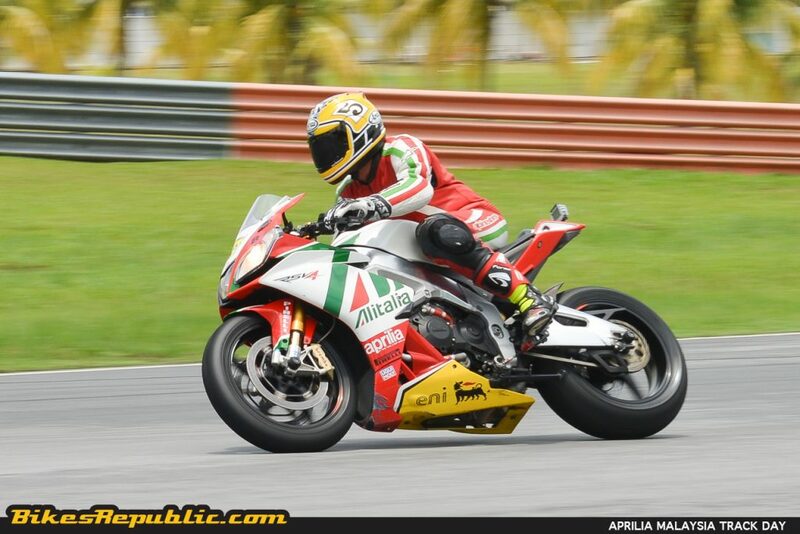 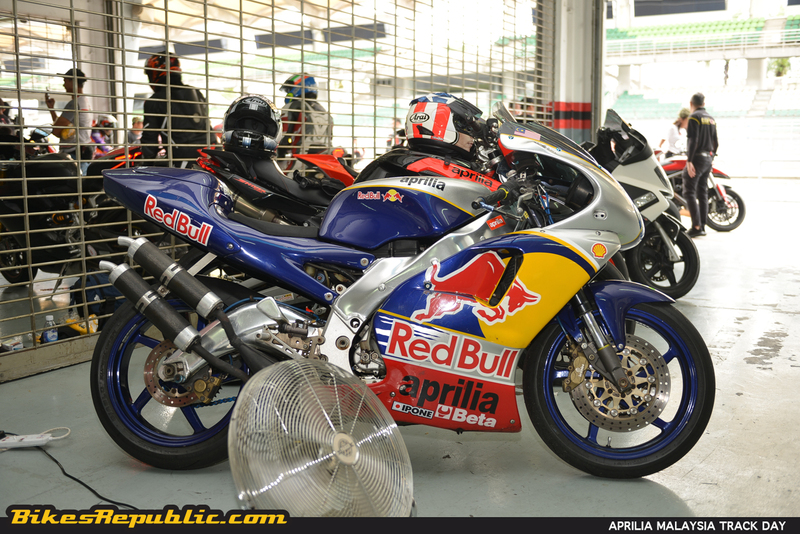 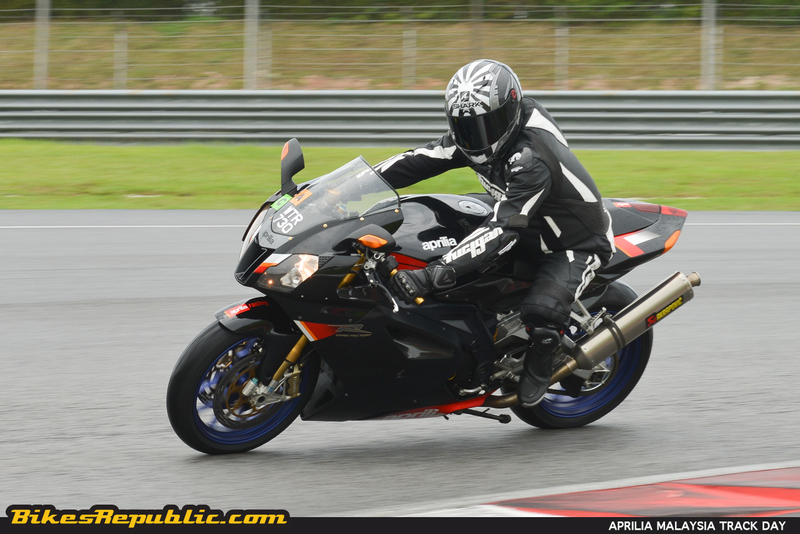 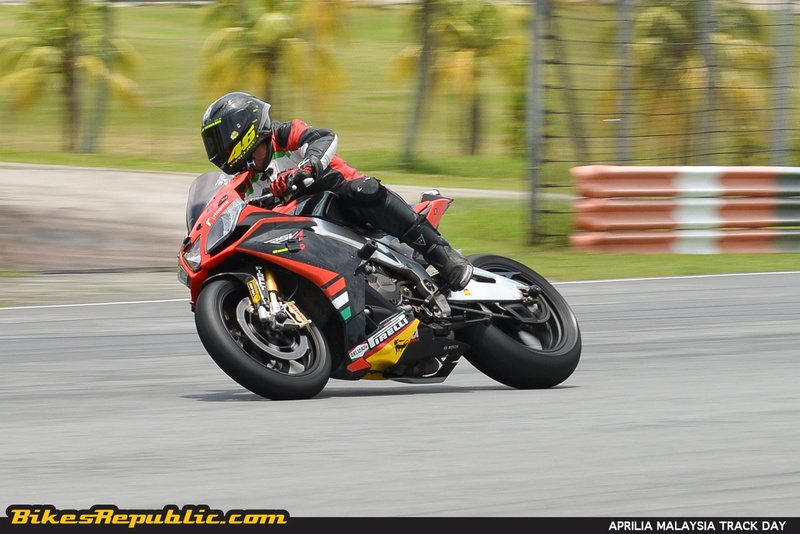 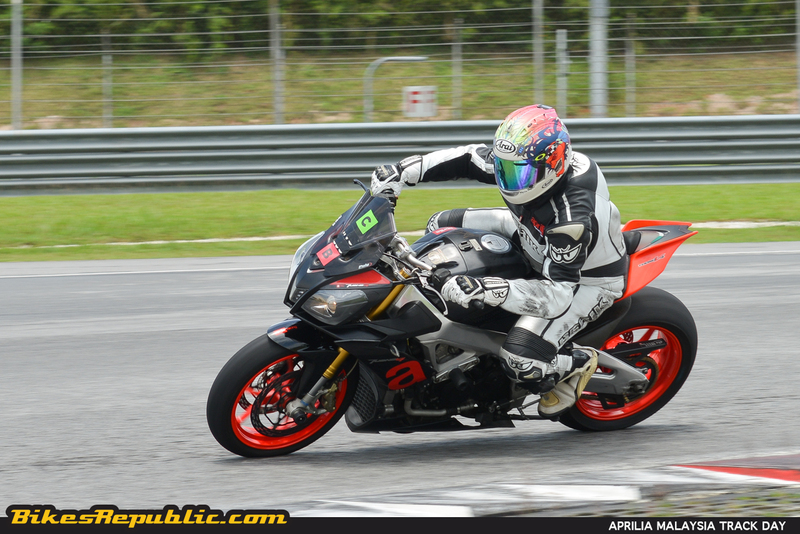 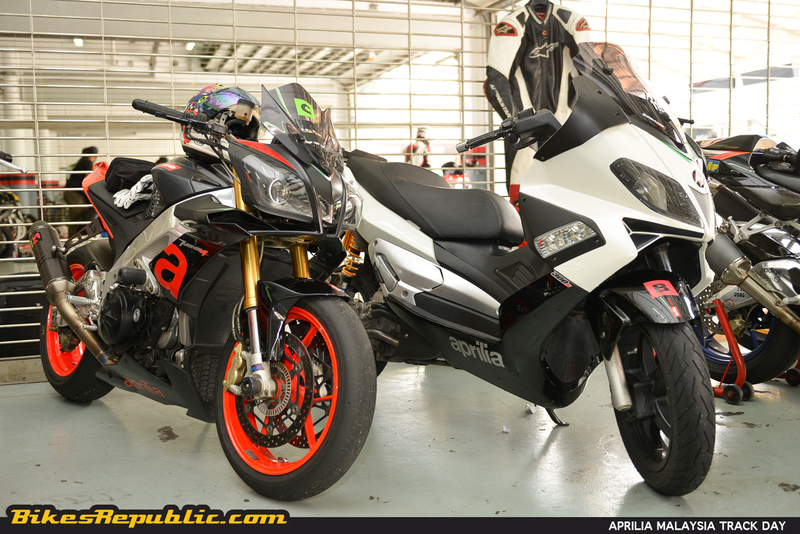 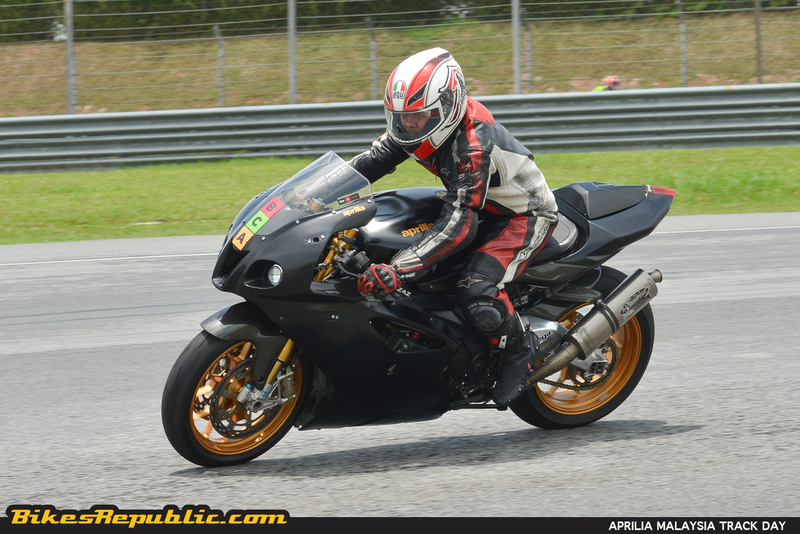 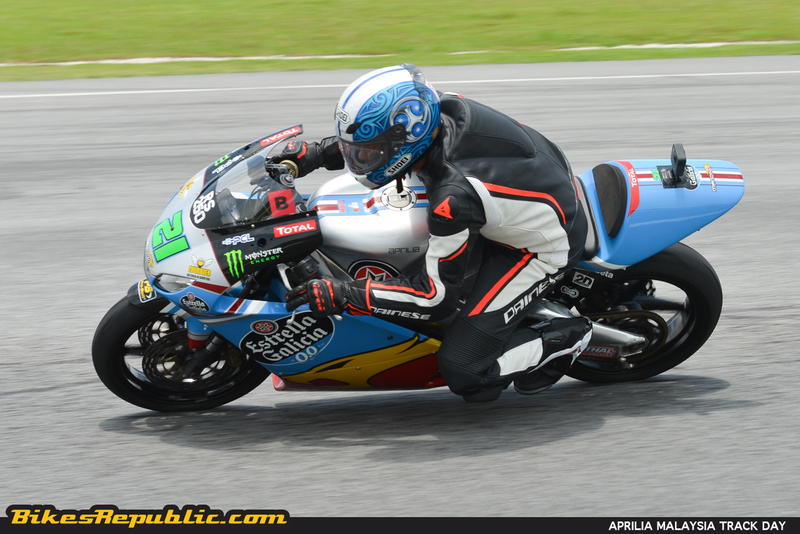 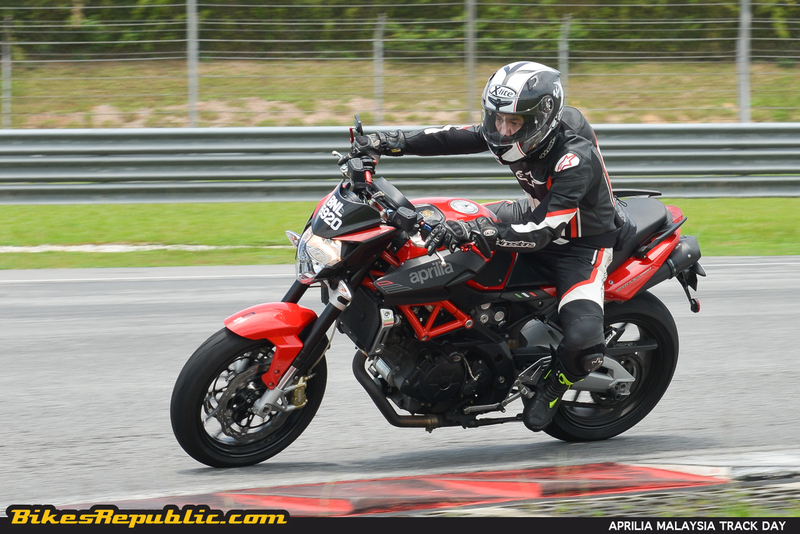 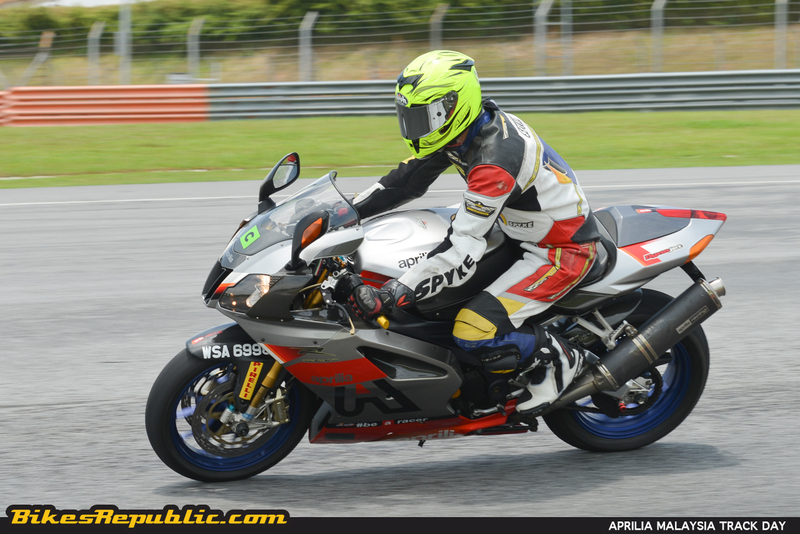 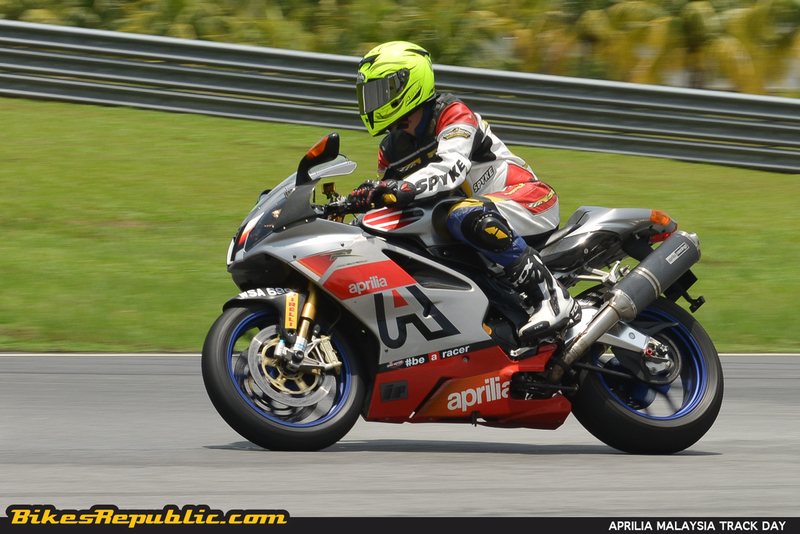 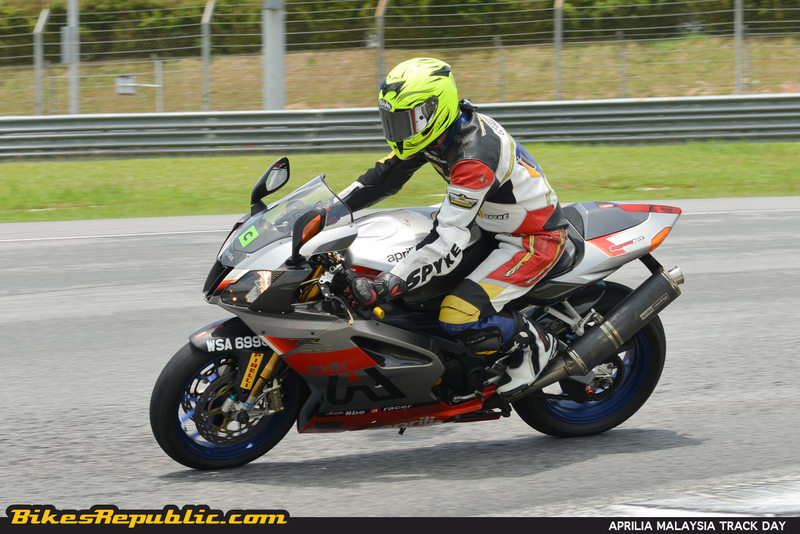 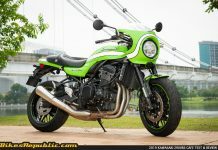 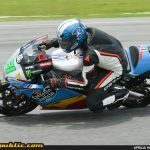 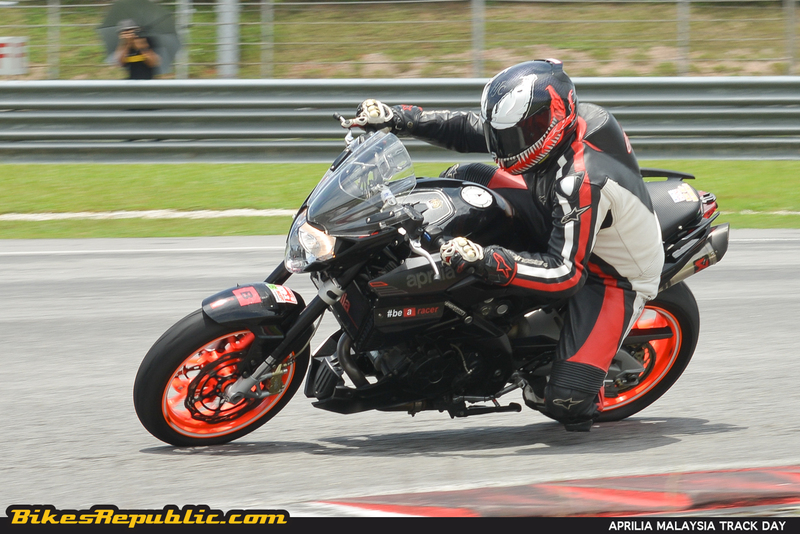 Aprilia owners in Malaysia had a great day at the Sepang International Circuit yesterday. 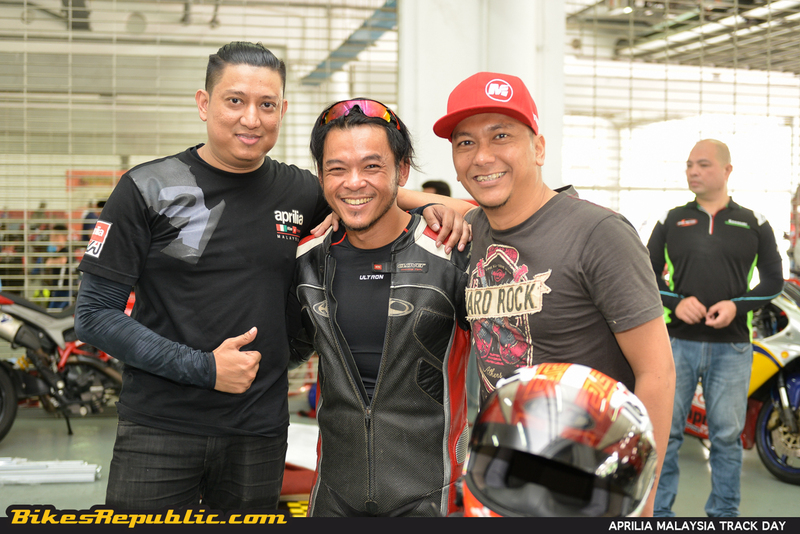 Didi Resources, the new custodians of the brand organized a track day as promised. 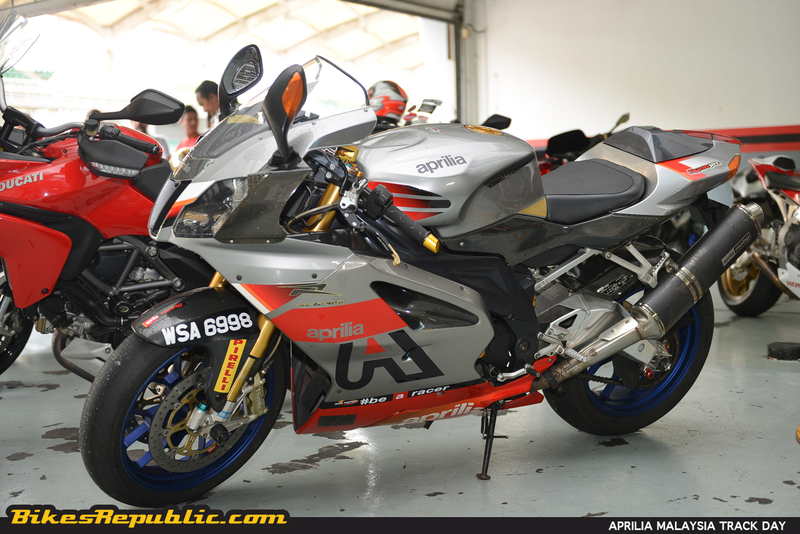 A great mix of Aprilia models took to the track. 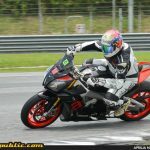 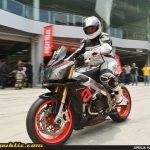 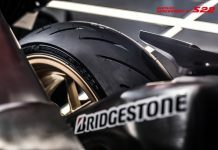 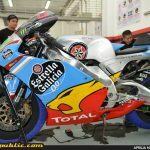 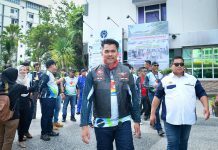 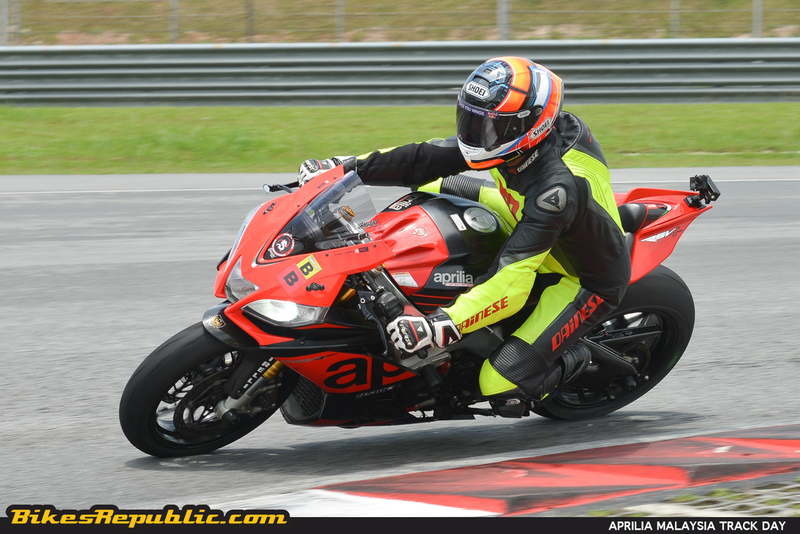 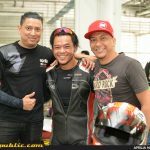 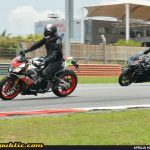 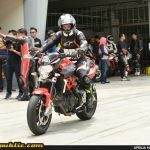 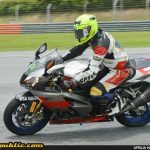 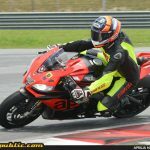 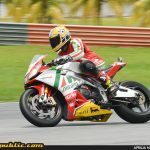 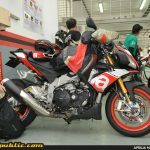 As promised by Didi Resources, the new custodian of Aprilia motorcycles in Malaysia, the inaugural (under new management) Aprilia Malaysia Track Day went off without a hitch yesterday at the Sepang International Circuit. 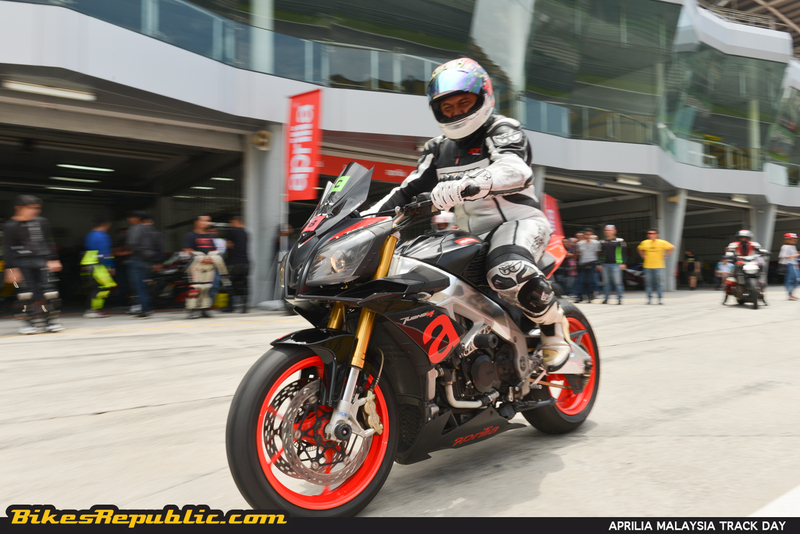 Besides rides and convoys, organizing a track day for Aprilia owners is the right thing to do as the activity demonstrates the manufacturer’s “Be a Racer” philosophy. 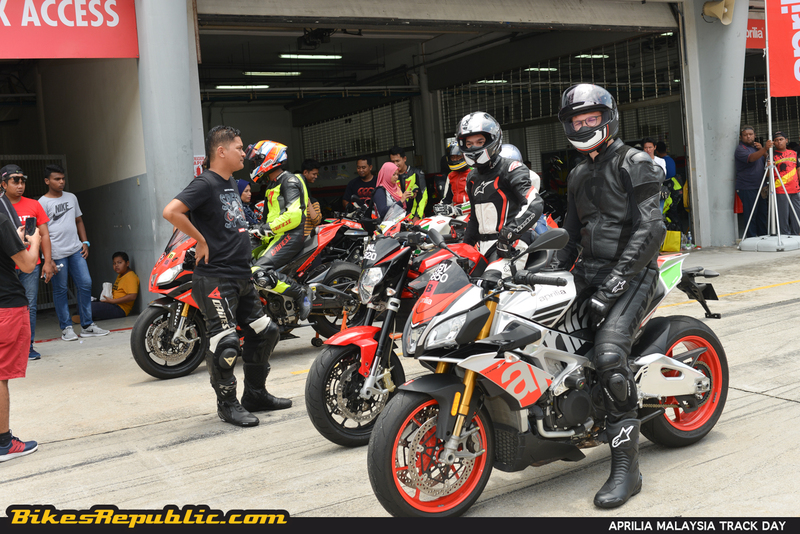 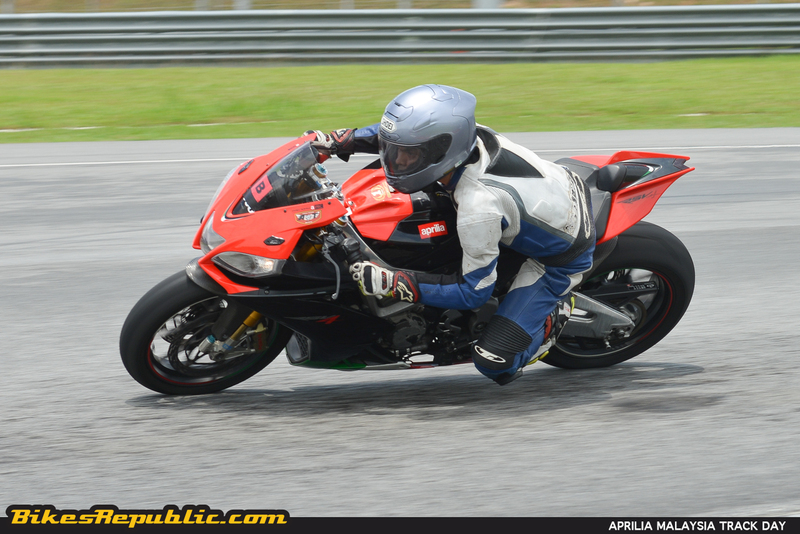 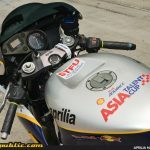 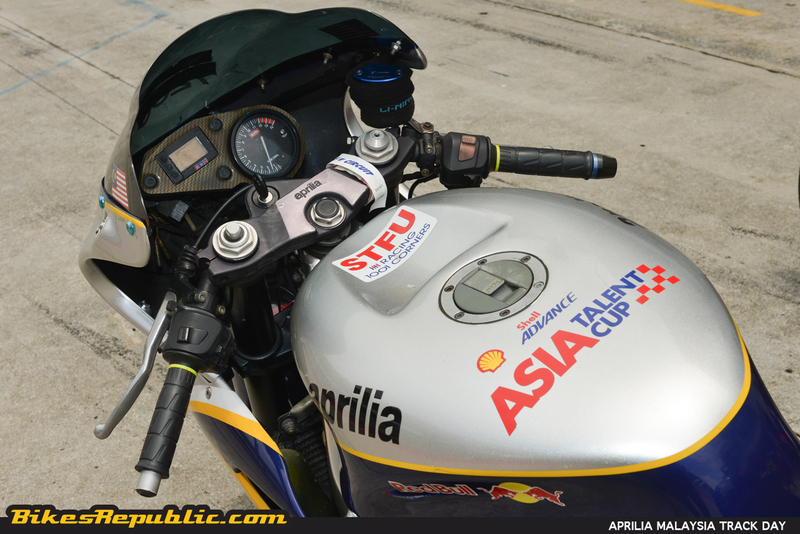 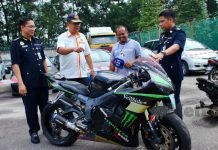 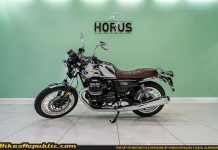 It was great to see owners showing up from all over Malaysia and even Singapore on all sorts of Aprilia models, because we are used to seeing the RSV4 superbike in the Malaysian Superbike Championship (MSBK), Malaysian Speed Foundation (MSF) and track days on weekends. 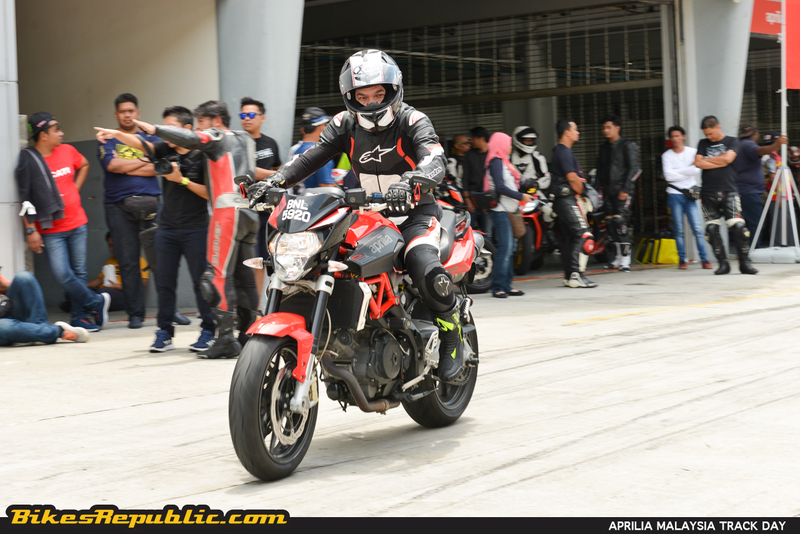 Instead, this track day organized by Didi Resources provided the opportunity to ride on track on any bike, more like a “Run what ya brung” track weekend. 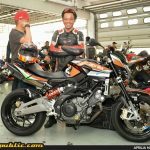 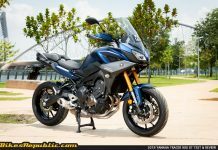 Indeed, we saw the Shiver 750, Tuono V4, SL1000R, RSV Mille (the father of the RSV4), RS250 two-strokes, and an SR-Max 300 scooter ridden by Khairul Hafiz. 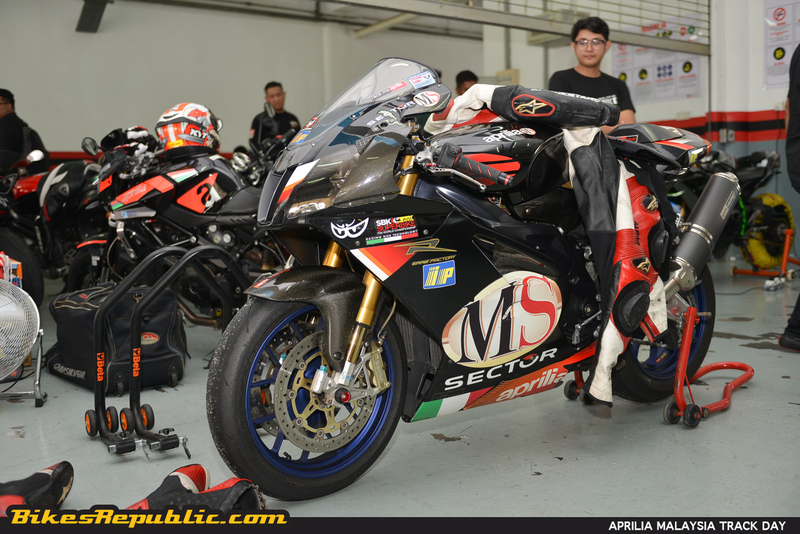 Of course, the riders attended a safety briefing after registration. 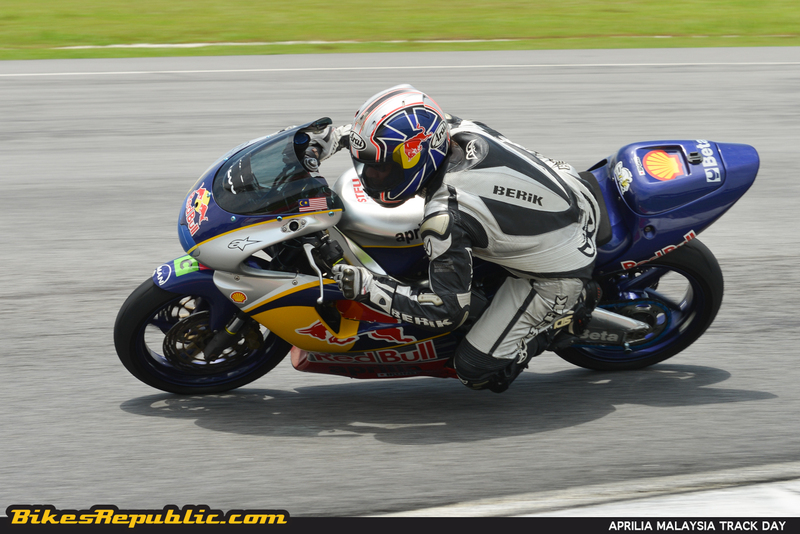 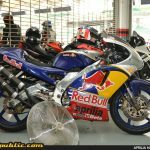 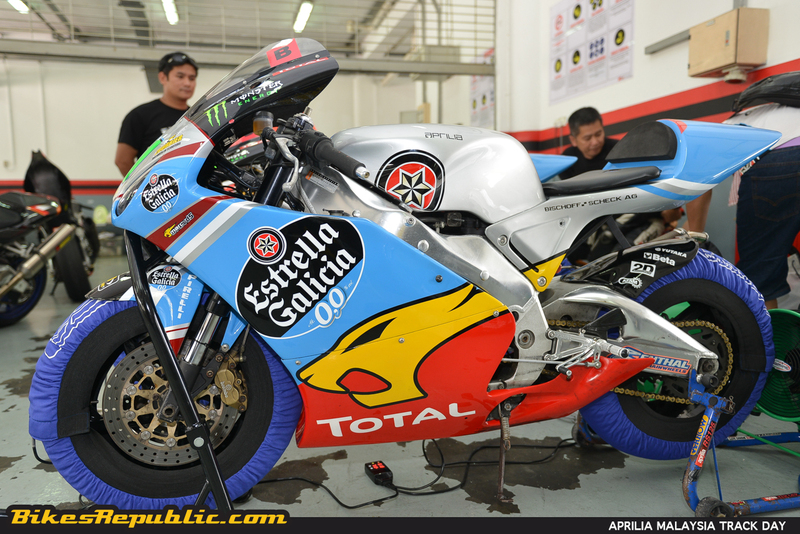 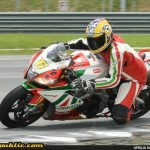 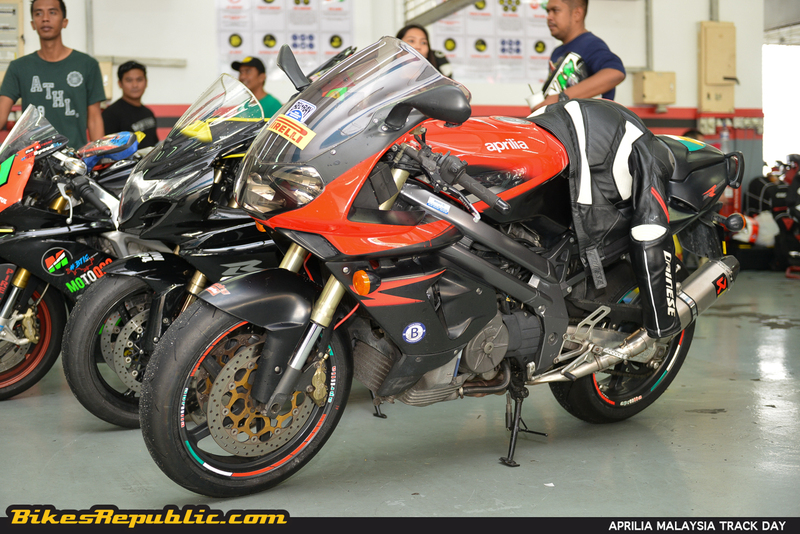 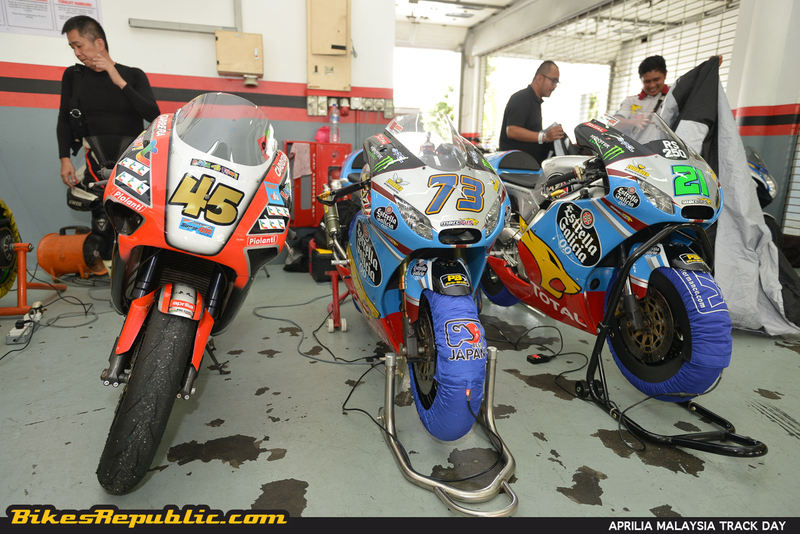 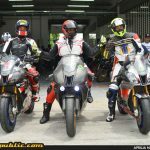 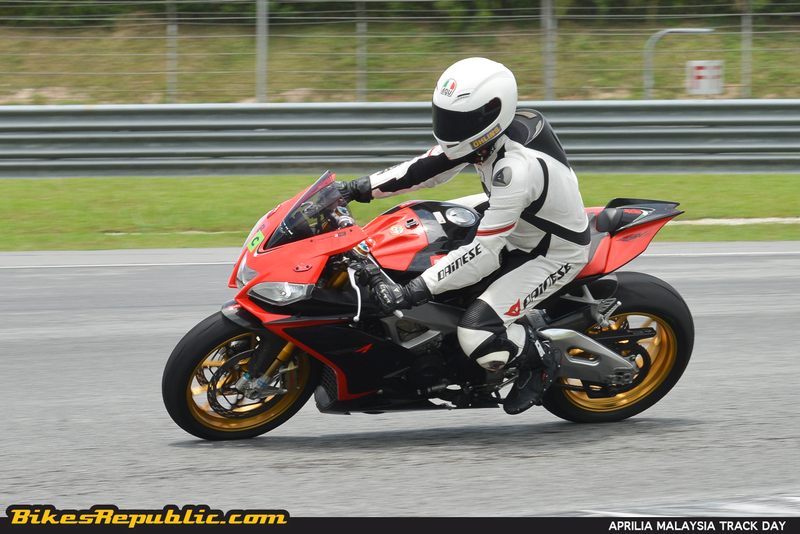 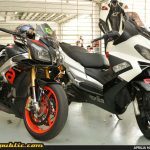 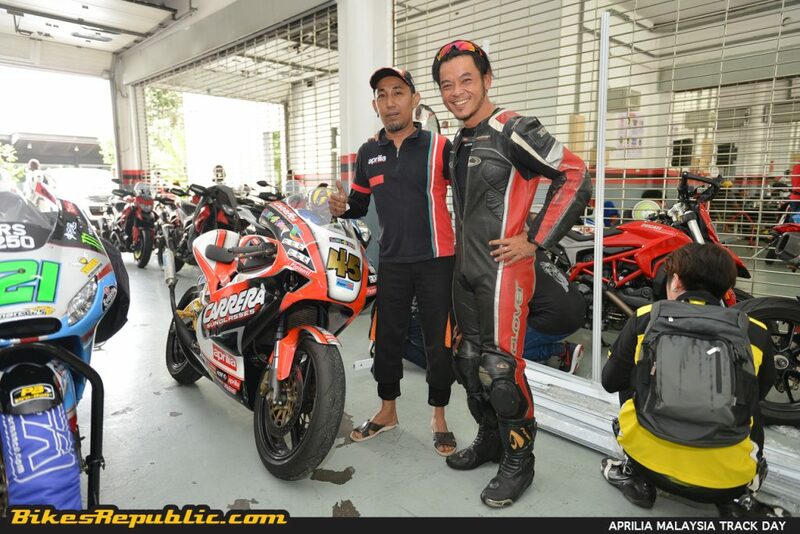 Aprilia Malaysia had also prepared race suits and riding gear for rental to those who don’t own them. 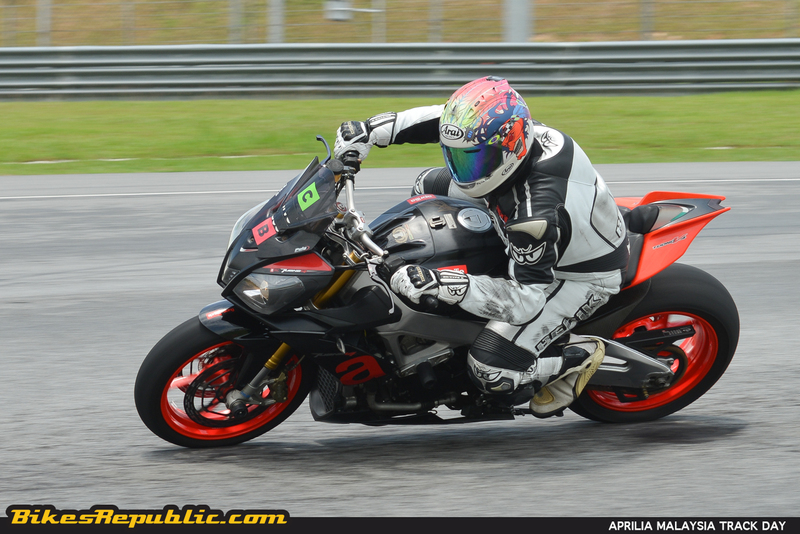 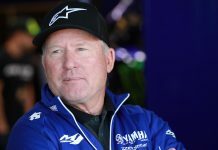 It had rained on the track from early morning and the open track day riders came back to report on a slippery track after their first session. 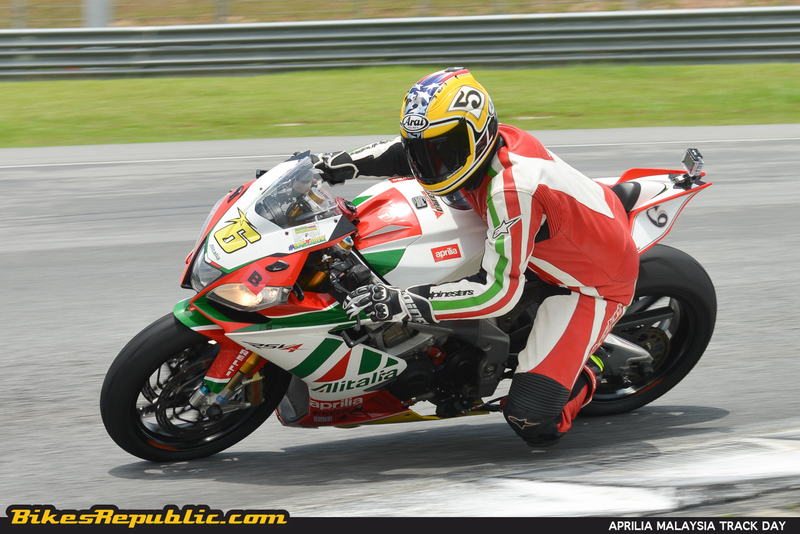 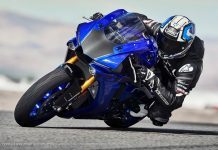 However, the Aprilians were lucky as their sessions started close to noon and went on through late afternoon. 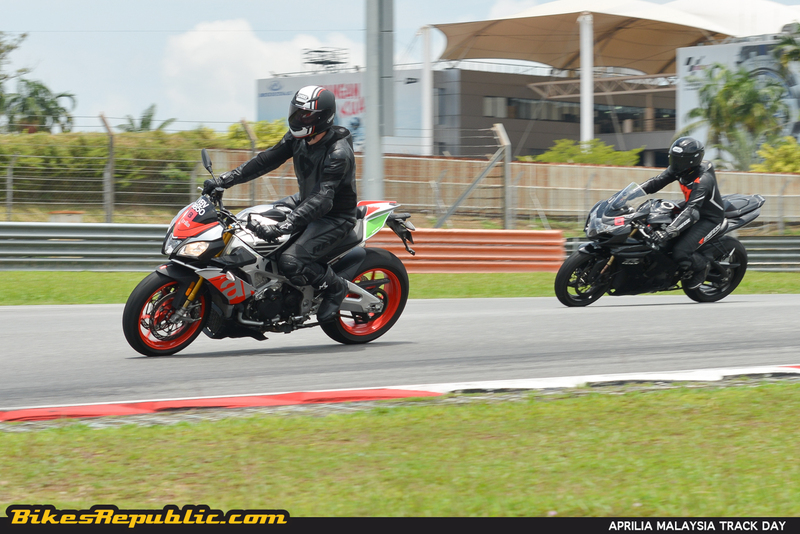 The sun had started to shine and dried the track by then. 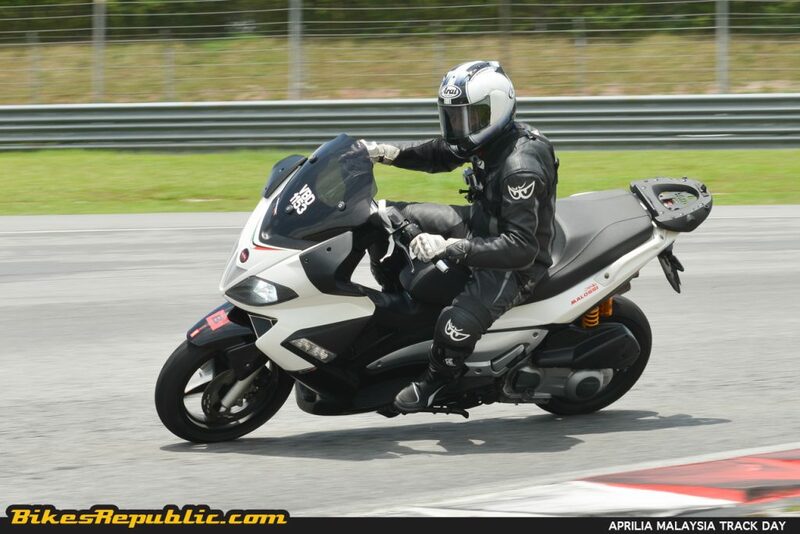 It was visible that the participants had a great day although they were also exhausted after riding under the hot sun. 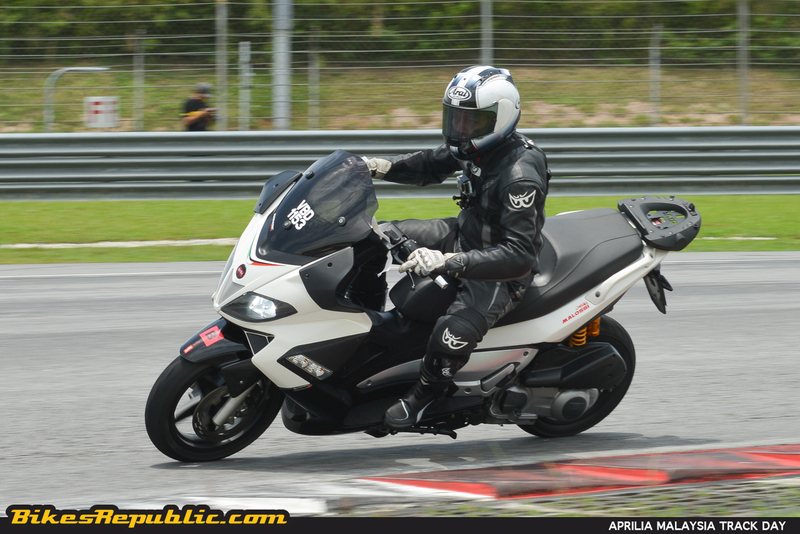 Didi Resources also provided refreshments and lunch so that they had nothing to worry about except of having fun. 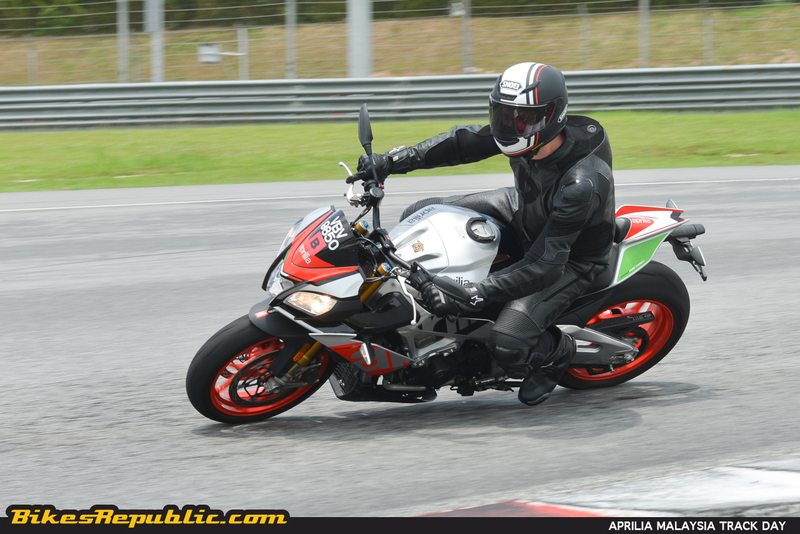 Lastly, while there weren’t many who took the track as expected despite the large number of Aprilians who showed up, we believe there will be many more in the next track days. 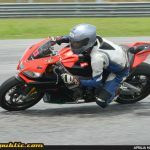 We would also like to add that they event went without a hitch, and there was no mishap. 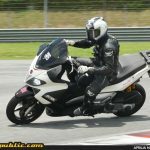 Previous articleModclass Speedway introduces modern classics to SIC!